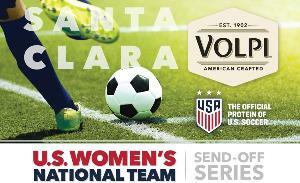 Prize: Prize: 5 winners: two (2) tickets to a U.S. Soccer game in Santa Clara, CA on May 12, 2019. Statistics: This contest was opened by 18 and entered by 0 ContestChest.com members. 0% of those who opened the contest, entered it.